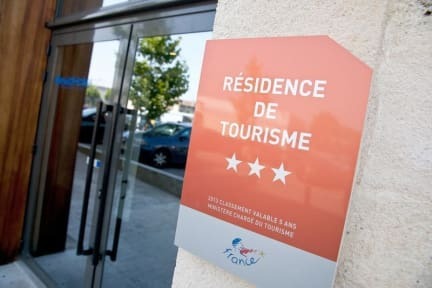 Residhotel Galerie Tatry i Bordeaux, Frankrig: Reservér nu! Apartments at Galerie Tatry are air-conditioned and have a modern décor. 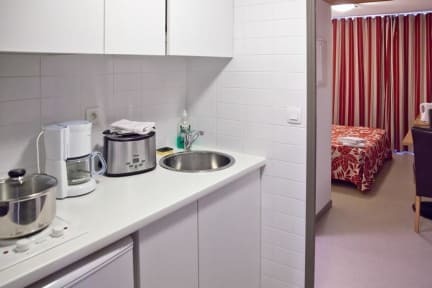 They each feature a kitchenette with a microwave and fridge (dishwasher for apartments for 4 persons) and a seating area with satellite TV. Bedroom and bathroom linens are provided. A buffet breakfast is served each morning in the residence’s contemporary dining room. Additional services available at Galerie Tatry include free newspapers and luggage storage. A tram stop is located opposite the residence. Bordeaux’s Palais des Congrès is a 10-minute drive away. City Tax is not included.